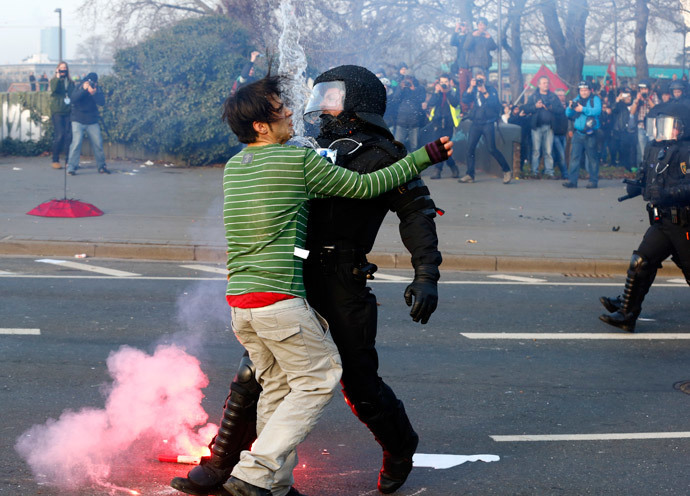 Thousands of protesters have been clashing with riot police in Frankfurt ahead of a ceremony on Wednesday that opened the new headquarters of the European Central Bank (ECB). 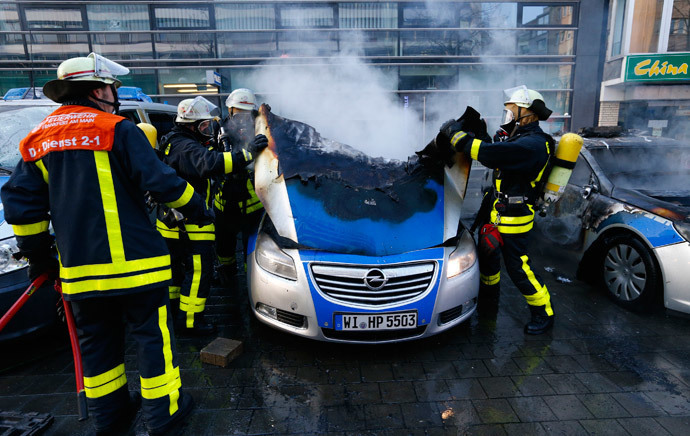 The morning rally was marred by torched vehicles burning in the blocked streets. 1. The German city of Frankfurt has become home to the twin-towered €1.3-billion ($1.4 billion) ECB headquarters The complex has become a source of anger for many Europeans in times of recession. 2. Riot police had to build barricades to block “aggressive” crowds of anti-capitalist protesters and disperse them with water cannons. 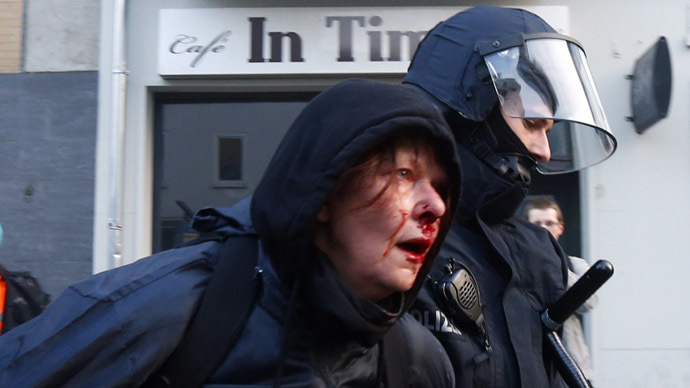 According to police, nearly 90 police officers were injured by stones and unidentified liquids. 3. Dozens of protesters say they were injured by pepper spray, used by police. At least 350 people were detained, according to police, and others taken into custody for questioning. 4. 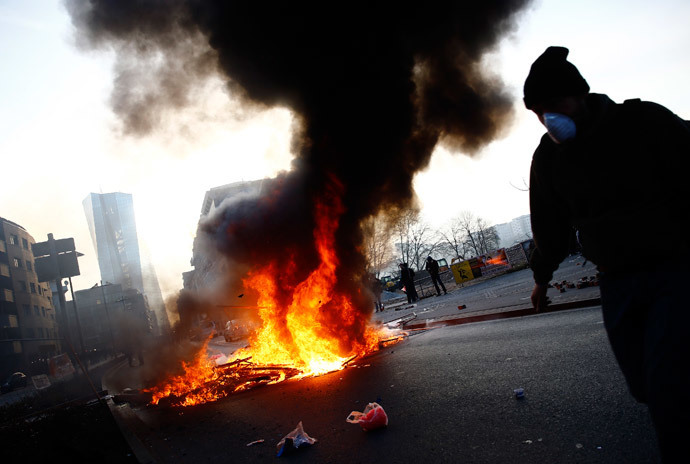 A breakaway group of demonstrators turned to torching cars, which later smoked amidst burning stacks of tires and rubbish bins that blocked the streets of the German financial capital. 5. 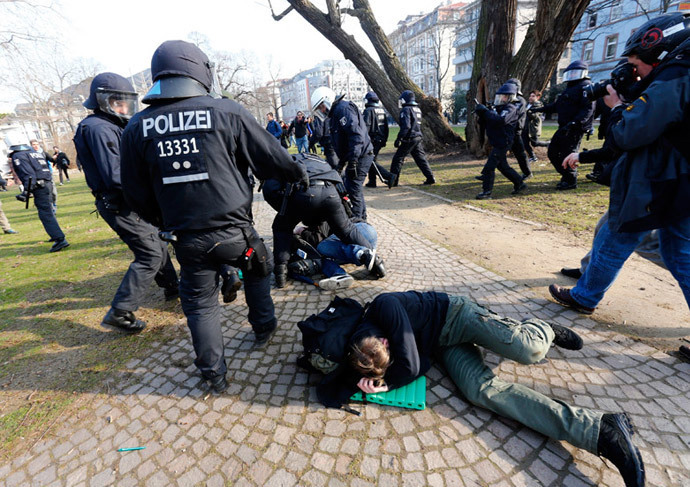 The protest against austerity was organized by the Blockupy group, named after the 2011 Occupy Wall Street movement, which estimated the number of participants at about 10,000 people, who had flocked to Frankfurt from all over Europe. 6. Activists are irritated by what they describe as "capitalist business as usual" – strict austerity measures imposed on EU countries, hit by the financial crisis. They intend to blockade the ECB building, which they regard as a symbol of capitalism. 7. The European Central Bank is responsible for eurozone policy, it also manages the euro, so even supporters of the new Greek government, led by the left-wing Syriza party, have traveled to Germany to take part in the demonstration.